Keeping a living landscape alive during times of water scarcity can be a challenge. When the landscape contains some of the world’s rarest and most significant plant species, water is both precious and essential. 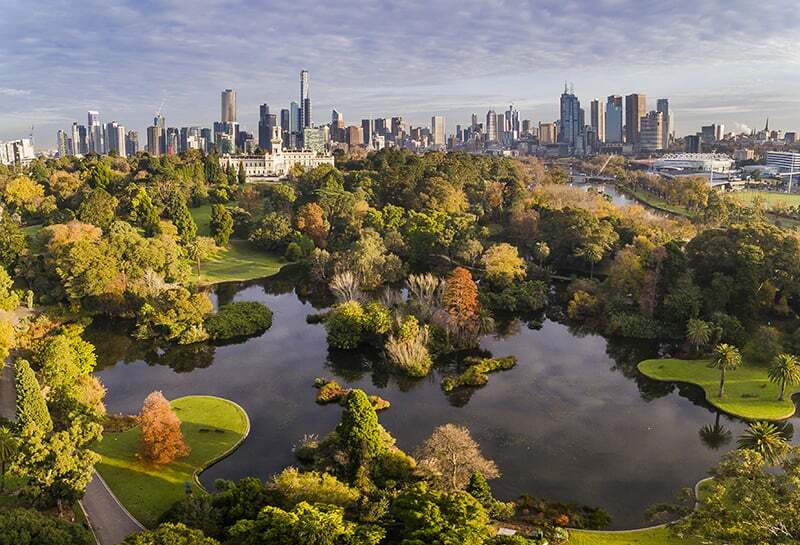 Journey through the Royal Botanic Gardens Victoria’s Melbourne Gardens with landscape architect, Andrew Laidlaw and curator of horticulture, Peter Symes to discover how the story of water is the story of the Gardens. End your tour on the Ornamental Lake. Waterfront is presented by Open House Melbourne as part of Melbourne Design Week—an initiative of the Victorian Government in collaboration with the NGV. Watering the Gardens is co-presented by Royal Botanic Gardens Victoria and Punting on the Lake. Access Requirements: Able-bodied access only. This tour involves walking for extended periods outdoors and boarding small punts/boats. Please wear suitable clothing and footwear.